Rosettes of the yellow toadflax (Linaria vulgaris) emerge in the spring and resemble spruce seedlings. They are narrow leafed and grayish green in color and usually originate from lateral roots from the past years growth. Yellow toadflax is a perennial plant that lives for multiple years re-emerging each spring from root stocks in the soil. The plants grow to a height of around 18 inches and produce a bright yellow snapdragon like flower with an orange colored throat. They have a long spur on the bottom of flower. Yellow toadflax is a prolific seed producer and a single plant can produce up to 500,000 seeds. Only a small portion of the seeds may actually be viable and sprout to produce new plants. Management of Yellow toadflax can be very difficult and take multiple years to control with herbicides or bio control (insects). A stem boring weevil that attacks the stem and roots can be used to control the plant. These insects are sometimes hard to establish at the higher altitudes and lower temperatures where the plant is at home. Herbicides can be successful and often require multiple applications over several years. Pulling is not as option as multiple plants will emerge from the roots that remain after pulling attempts. Yellow toadflax likes sunny south facing slopes, but can also survive very well in wet riparian soils. The plant spreads from the root system and can quickly form solid monocultures crowding out native plants.The plants are not palatable to wildlife and vast stands destroys the native habitat that our wildlife depends on. Prevention and early detection and treatment are the best measures to control this plant before it can establish and do its damage. Larry Walker is with the Chaffee County Weed Dept. At emergence in the spring, yellow toadlflax resembles small spruce seedlings. 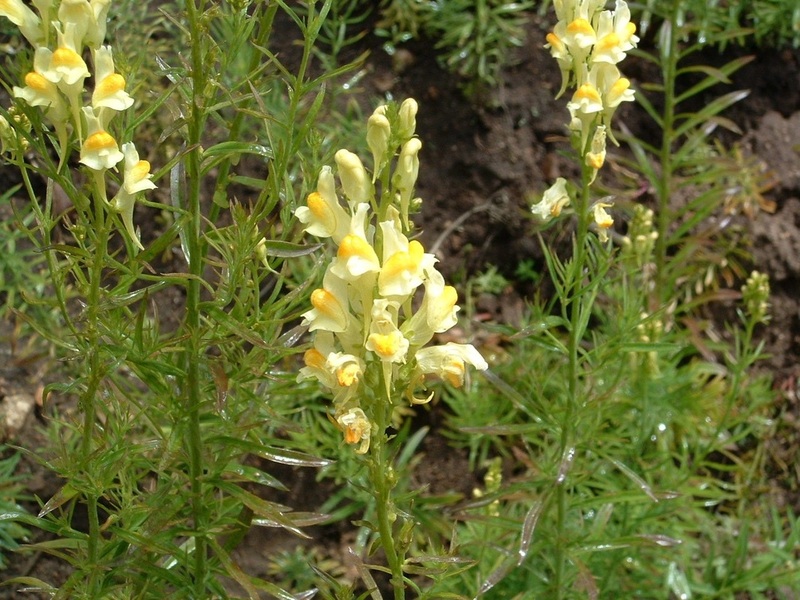 Yellow toadflax is an escaped ornamental plant that resembles the snapdragon. 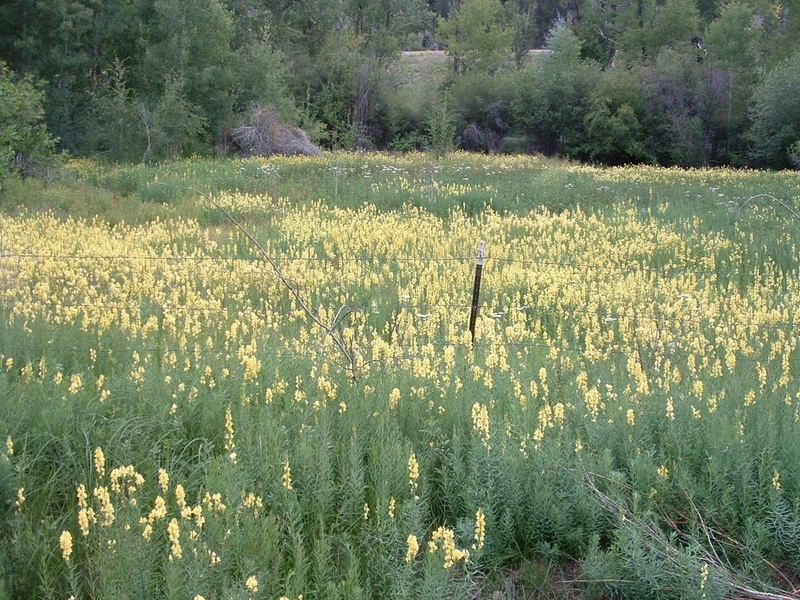 A dense stand of yellow toadflax can quickly crowd out native plants.